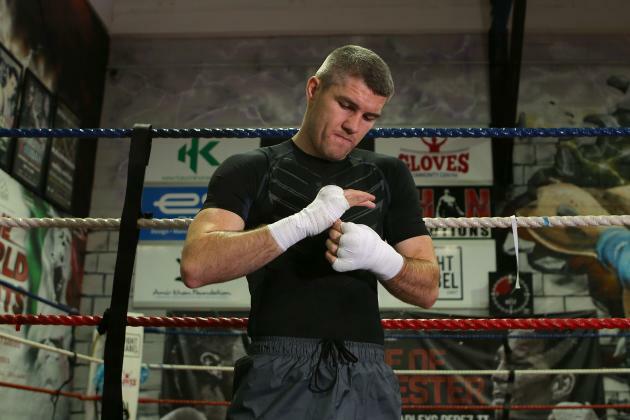 Liverpool’s WBO Super-Welterweight World Champion Liam Smith will be keeping a very close eye on this Saturday’s Super-Welterweight world title triple header in Las Vegas, aired exclusively on the Channel of Champions BoxNation. In the main event Erislandy Lara defends his WBA title against Vanes Martirosyan in a rematch of their 2012 bout that ended in a technical draw. Brothers Jermall and Jermell Charlo will look to make history in co-featured bouts as the first twins to hold world title’s in the same division. Unbeaten Jermall makes the second defence of his belt against former world champion Austin Trout while Jermell takes on exciting contender John Jackson for the Vacant WBC belt. 27 year-old Smith, who holds a record of 22 wins unbeaten with 12 KO’s, harbours dreams of unifying the 154 pound division with WBA Champion Lara and IBF titleholder Charlo on his list of future targets. Merseyside maverick Smith makes the third defence of his world title against Predrag Radosevic on June 4. ‘Beefy’ took time out of his training camp to share his thoughts on this weekend’s action. Eubank wants Golovkin now – worth the risk?